Electrical problems may pose a danger and could lead to property damage or physical injuries. However, these problems could be fixed. If you notice a smell of something burning, try to find out where it comes. The burning smell might come from convenience outlet, switches, or wires underneath the walls. It may also come from a damaged home appliance or a new appliance. In case, it comes from your home appliance, turns off the unit right away and do not use it until it is fixed. However, if you could not detect the origin of a burning smell, you must turn off the power of the electrical panel right away. Then, call a certified electrician to fix this electrical problem immediately. Experts advise not to use too many extension cords in your homes or use them in short periods of time because the cables could get kinked or short out and may trigger tripped breakers or start a fire. It is better that you install the needed outlets through the help of an electrician. Some electric sparks may seem normal. On the other hand, there are electrical sparks that may cause a fire or damage the plug. It also depends on where you have seen the flash. In case, you see the flame coming from the breaker panel, outlet or the fuse box; you must hire a licensed electrician immediately to find out the cause of sparking. A short circuit, which is caused by overheated wiring could also trigger a spark that could lead to a fire. This thing may happen if you have many appliances connected in the same or one circuit line. Sometimes, the damged appliance may also spark. You must call a home appliance repair service to fix it. A light bulb that is flickering or dimming might be defective, and you need to replace it. On the other hand, if you have some lights that are flickering and dimming, there might be something wrong with the electrical wiring such as loose electrical wiring in the circuit breaker, or there is a loose fixture connection. This thing may pose a danger in your homes. It is better that you call an electrician to know what causes the flickering or dimming lights. And let him fix them right away. The tripped circuit breaker may occur to alter the energy flow on a circuit when it is overloaded and could prevent the wires from overheating that may cause a fire. Likewise, a blown a fuse could be a sign that the circuit is overloaded and could keep you safe too. On the other hand, a regular tripping of the circuit breaker and blown fuses are indeed problems. With this, there is a need to add a new line or raise the power of the circuit. In this case, you need a licensed electrician to compute and upgrade the load of your circuit. The electrical components such as switches and outlets are generally quieter when they run smoothly. On the other hand, old or tattered wires or loose outlets could make the current jump thus creating a buzzing sound. You must, therefore, stop using any of these components with a buzzing sound and call a professional immediately to repair this problem. If you notice a clicking, sizzling, or buzzing noise or sparking whenever you flip your switches, then there is something wrong with your switches. They may be defective and having loose connections. With this, you have to replace them right away. However, if your switches are warming or heating up, this could be a sign of a more serious electrical problem. There may be a short circuit in the switch or a loose wire. In this case, an electrician must address this problem. 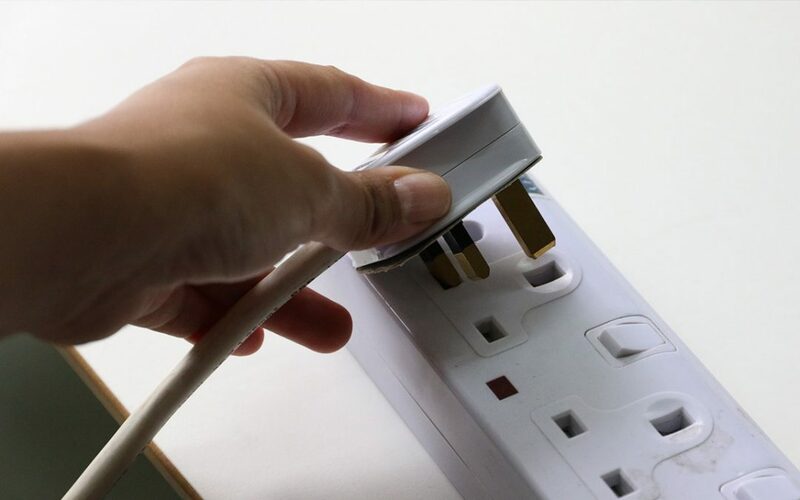 If any of your convenience outlets are sparking, heating up or hot, it is advisable that you stop using them. There may be faulty wiring inside them, or you have plugged a broken appliance, and this thing may start fires. You must not use them and instead install a new convenience outlet immediately. But, first, let them check with a pro. Lighting fixtures such as a bulb, chandeliers, or recessed lightings must be checked out too if they are heating up or too hot. This may pose dangers. You may replace them or find a reliable electrician to know what causes the heating up of the lights. You may also replace them with LED light bulbs or fluorescent bulbs that use less energy and less heat. This thing may cool your house and at the same time save money. Electrical problems if not addressed appropriately may start a fire or harm you physically. These electrical problems must be done by professionals because there are risks involved in fixing electrical problems. It is therefore advisable to consult and contact a reliable and certified electrician that could attend to your needs right away.